Available on some cable networks. Check with your local provider for channel. Thank you, Nicholas! I hadn’t noticed that that song was in another movie! How funny! Why, oh why, is there no Golden Christmas movie 4? If you see a nother plea from me for this, I didn’t see it show up here, so writing this. I think, the older couple could be in it, with the man as a professor, as stated in 2, and the woman, retired and happy. The young girl could be all grown up, and the story could revolve around her. Possibly, a love story between her and another student at the college, the same one the professor is at. That way, he can give sage advice, when needed. Ok? So, now, movie people, write this darn thing! We need a 4! As for the timing – yes, Ion formats the movies so that the end of one runs right up to the beginning of the next. Best bet is just to have the DVR record an extra one minute at the end – all the DVRs I’ve seen have a setting for that. Sorry, but I am tired of your goofy Christmas shows. 30 days of the same goofy ones over and over. Break it up with some of your regular programs. It’s as bad as listening to Christmas music the day after Thanksgiving. Give us a break please. They just run on the weekends, and then on Christmas Eve. Plus, they’re charming, for the most part, rather than “goofy”. What happened to the movie where they travel across America with Scoots? I can’t remember the name. A Holiday Road Trip was the first scheduled movie in 2017 and sadly has been omitted from the 2018 schedule. It is far superior to the newer movies. Very disappointed. Patrick Muldoon is also in A Christmas Reunion. Another enjoyable movie. I love you’re Christmas movies!!! This year’s ION preview for the Christmas movies includes a short clip where a young woman says “I like traditions. They help keep us connected to the past.” Can anyone identify which movie that’s from? Christmas in Vermont was the movie. Thank you for this – just saw your reply. That will save me having to record all of them and fast forward trying to find that scene. I noticed yesterday, that the same little girl is on all 3 Golden Christmas movies. I think she plays different parts in them. She is so good! Two movies I didn’t see this year, are the one with the magic brooch a woman can read people’s thoughts with it, and “Christmas Town”, which is really cute. “Christmas Mail,” has only been shown about once. Merry Christmas, everybody! Enjoy those movies! She’s so charismatic. And since these movies are several years old, she’s probably a real cutie by now. Okay, the movie I was looking for (“I like traditions . . “) was in The and the Pines. So now I can stop watching them all, except that I’m hooked. Correct my typo – “The Spruces and the Pines”. They sometimes use the same music in different movies. Last night, I noticed they have the same song during the carriage ride in both “A Prince for Christmas,” and “Christmas Kiss.” I couldn’t believe it! I guess they like that song for carriage rides! So, now I am looking for things! That’s when you know you’ve seen a movie more than 5 times. Nancy, as I’m gradually clearing these movies off my DVR, I find that the same song you saw is also used in the final scene of “A Wedding for Christmas!” But I haven’t seen them as many times as you have. I think A Prince for Christmas was brilliant. What a true “love story”, very inspiring and as said “fairy tales” do come true. I always get teary eyed at the end of that one! 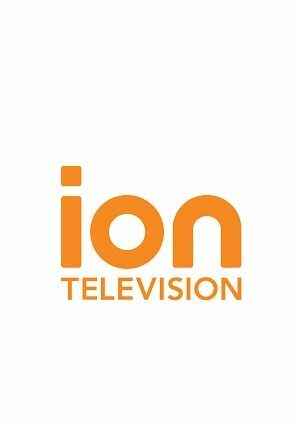 Can you buy the Ion Christmas Movies anywhere? I’m able to order ION & HALLMARK CHRISTMAS movies pretty cheap online from Wal-Mart. My only complaint is that they don’t come with Blu-ray and normal DVD’S. So I’m buying a Blu-ray for what I can buy for a Blu-ray and watch the others on my DVD PLAYER. The article above on the channel ION is on DISH is wrong. At least it is here in Amarillo Texas. I get ION on 250. The UP channel I have with DISH has really good movies too at Christmas. So does FREEFORM AND LIFETIME. What about al the Golden Christmases???? They were on earlier today. I hope you didn’t miss them. I would like to see Christmas Eve. It is old – Don’ t know what years it was aired, but Lorretta Young starred in it. Don’t remember what channel it was on. I think this person is is referring to a movie that I think was called It Happened One Night. Her boyfriend died overseas & the female lead becomes very sick, it is pouring rain, Christmas Eve & she is at a church. The deceased boyfriend comes to her in the church. Will you please show the Christmas movie starring Henry Winkler as the uncle who went to spend Christmas with his niece and her son and she fell in love with the man her uncle met in the airport. It’s on Hallmark channel several times in the next week or so. Channel 312 if you have DirecTV. It’s called The Most Wonderful Time of the Year. One of my favorites. I found it on DVD at the grocery store for under $5. That movie airs on the Hallmark Channel. It’s called The Most Wonderful Time of the Year. I love that movie too!! Check the Hallmark websites for showtimes. It’s The Most Wonderful Time Of The Year. I love that movie. I hope they show it. Yessssss. I loved that movie too! He was handsome. That is a good one. The Hallmark Channel will often show it just before Thanksgiving. I would love to see the movie about the single mom who is pursued by Santa’s son who has taken a job as Santa at some sort of outside mall. He’s accompanied by an adult size elf. I wasn’t able to see the whole movie and would love to see it. Of course I can’t remember the title. It aired sometime last year. I hope to you an figure out what I’m talking about and air it. I found it! It’s ‘My Santa’. Please air this again for the 2014 season. Thanks! Thanks! I see it’s scheduled to air on the 20th. I will be watching! I would love to see Will You Merry Me starring Wendie Malick. Great movie to relax with, great for the season. Please run the movie “Borrowed Hearts” with Roma Downy this year at Christmas. Love this one. Would like to see One Special Night with Julie Andrews and Jim Gardner this Christmas the best Christmas movie. We bought the DVD on Amazon after waiting to see it On TV. We have also borrowed it from the local library to begin with.